Here's a re-post of a grain free adaptation I created for one of my favorite old recipes for sour cream coffee cake with cinnamon, sugar, and walnut streusel. 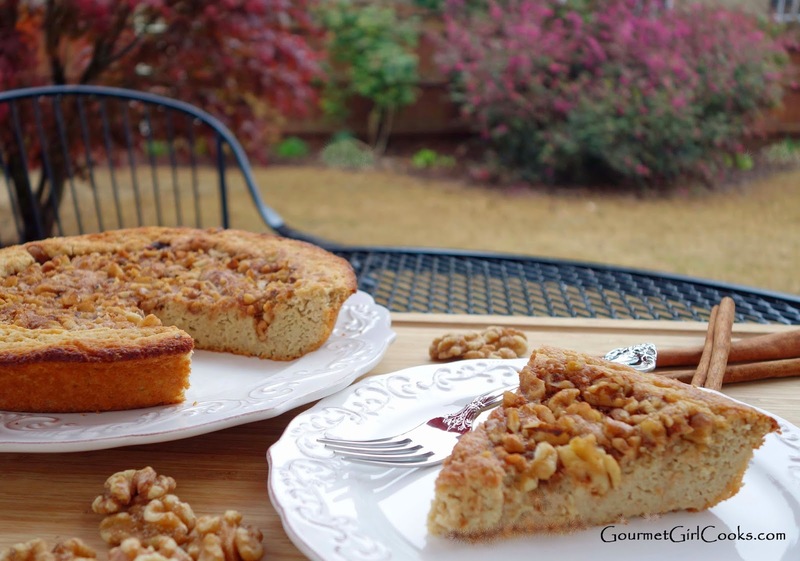 I created a grain-free version of that coffee cake that is also sugar-free thanks to one of my favorite sweeteners, Swerve. This cake turned out moist, dense, rich and delicious, just like the original version. The recipe is super simple and it is baked in an ovenproof skillet! You can find the easy recipe below. Enjoy! In a large bowl, combine almond flour, flax, coconut flour, 3/4 cup sweetener, baking powder, baking soda, salt, and 1/2 teaspoon cinnamon; whisk to combine and break up any lumps. In a separate small bowl, beat buttermilk, eggs, melted butter, sour cream, vanilla and optional maple flavor together. Stir wet mixture into dry mixture; mix just until combined. For the topping, in a small bowl, mix walnuts, 2 tablespoons sweetener and 1/2 teaspoon cinnamon together. Generously brush or coat a 10-inch ovenproof or cast iron skillet with butter or coconut oil. Heat the skillet over medium high heat, just until hot; remove from heat. 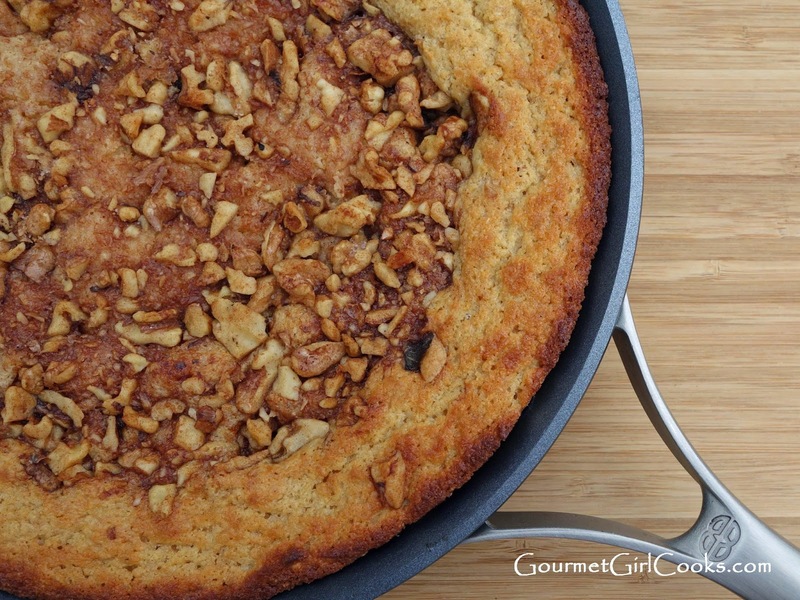 Pour batter into hot skillet; top with the cinnamon walnut mixture. Place skillet into preheated oven and bake for approximately 30 to 35 minutes, or until a toothpick inserted near the center comes out clean. Let cool in pan for approximately 30 minutes. Using a rubber spatula, gently loosen and carefully slide onto a plate or platter. Cut into wedges and serve. Looks so good. I have all the ingredients so I will make this for the weekend. Thank you for posting. This coffee cake looks so good! I don't have flax seed, whole or ground. Can I just sub with more almond flour? Also how do I go about using real maple syrup instead of maple flavor? I have a boatload of maple syrup! Thanks! Is there a substitute for buttermilk...maybe almond or coconut milk? Yes, add about about 2 teaspoons white vinegar or lemon juice to your measuring cup, then fill with whatever milk yo prefer to the 3/4 cup mark. Let sit about 5 mins.